Find Sugar Hill, GA Homes for sale. View Photos, Maps and MLS Data Now! Sugar Hill Station - Easy Showing, Schedule Your Appointment Today And Bring All Offers! ! MLS#6538040. Keller Williams Realty Atl Part. Fairview Park - Great Schools, Parks, Shopping, And Dining Nearby! This Home Is A Must-See! MLS#6536441. Georgian Home Realty Inc..
Frontier Forest - 2 Car Attached Garage & Additional 2 Car Detached Garage, With A Workshop Area! MLS#8561982. Maximum One Realty Greater Atl. Enjoy Maintenance Free Living In This Convenient Sugar Hill Location. MLS#6526243. Re/Max Tru. Enjoy Maintenance Free Living In This Convenient Sugar Hill Location. Ready September 2019. MLS#6526219. Re/Max Tru. Enjoy Maintenance Free Living In This Convenient Sugar Hill Location. MLS#6526227. Re/Max Tru. Enjoy Maintenance Free Living In This Convenient Sugar Hill Location. MLS#6526211. Re/Max Tru. Secret Cove - Beautiful Windows With Lots Of Natural Lights. MLS#8551537. Virtual Properties Realty .Net. 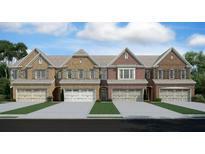 Oaks At Lanier - Popular Subdivision With Community Pools And Playground. MLS#8551402. Keller Williams Community Ptnr. Maplecliff - Secondary Bedrooms, Upstairs Laundry, Rocking Chair Front Porch, Covered Rear Patio. Outstanding Location. MLS#8548475. Re/Max On Main. Creekside At Pinecrest - Enjoy Shopping, Dining, And More Only Minutes Away. MLS#8546921. Red Clay Properties. 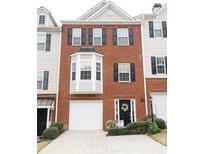 Located In Sought-After North Gwinnett Hs District And Close To I-85 And Shopping. MLS#6519862. Harry Norman Realtors. $3,000 Closing Costs W/Preferred Lender Only MLS#8542677. Peggy Slappey Properties. Gated + Hoa Covers Lawncare & Exterior Maintenance. MLS#6517739. Berkshire Hathaway Homeservices Georgia Properties. ** Up To $5,000 In Closing Costs W/Preferred Lender And Up To $5,000 In Free Upgrades ** MLS#6517389. Re/Max Tru. 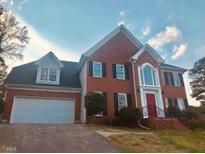 Sugar Hill Station - 3 Bedroom 2.5 Baths 1 Car Garage, Laminate Hardwood Floors On Main Level, Carpet Upstairs, Large Bedrooms, Walk In Pantry, Island In Kitchen. Must See! MLS#6516681. Re/Max Towne Square. Motivated Seller So Schedule A Showing Asap! MLS#6515288. Keller Williams Realty Atlanta Partners. Silver Springs - Great Schools District And Easy Access To I85. MLS#8537968. Virtual Properties Realty.Com. Swim/Tennis! $3,000 Closing Costs W/Preferred Lender MLS#8536565. Peggy Slappey Properties. ** Up To $5,000 In Closing Cost W/Preferred Lender And Up To $5,000 In Free Upgrades ** MLS#6514528. Re/Max Tru. Gourmet Kitchen With Granite Tops, And Upgraded Backsplash. MLS#6511304. Hera Realty, Inc..
Hillcrest Townhomes - Not A Short Sale Or Foreclosure, Recently Renovated Freshly Painted In Design Colors, Excellent Location, Corner Unit With Lots Of Privacy, Nice Patio, New Flooring On The Main Floor, New Wall To Wall Carpet, One Car Garage, Huge Master Bedroom With Walk-In Closet, Ready For A New Owner Hurry Wont Last Long!!!!!!!!!! ! MLS#6509607. 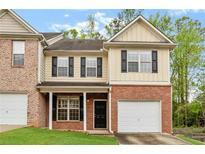 Solid Source Realty, Inc..
Rivendale Crossing - Don'T Let Your Buyers Miss This One! MLS#8523054. Keller Williams Rlty Atl. Part. Under Construction April/May Availability | Ashland Floorplan Available In This Popular Gated Swim And Tennis Community!|French Country End Unit W/Open Concept| 10' Ceilings On Main Level | Kitchen Has 42" Harbor Cabinets With Stone Counter Tops | Master Has Harbor Cabinets With Stone Counter Tops| 5" Hardwoods On Main Level |Hardwood Stairs And Iron Balusters |Finished Terrace Level Has 1 Full Bedroom/Bath We Are 100% Certified Energy Star, Which Is Engineered To Save Our Homeowners $| Convenient Location Near Back Gate *Photos Are Of Similar Home MLS#6128519. Engel & Volkers Atlanta North Fulton. Under Construction April/May Availability |Charleston Floorplan Available In This Popular Gated Swim And Tennis Community!|French Country Interior Unit W/Open Concept| 10' Ceilings On Main Level |Kitchen Has 42" Harbor Cabinets With Stone Counter Tops | Master Has Harbor Cabinets With Stone Counter Tops| 5" Hardwoods On Main Level |Hardwood Stairs And Iron Balusters |Finished Terrace Level Has 1 Full Bedroom/Bath We Are 100% Certified Energy Star, Which Is Engineered To Save Our Homeowners $| Convenient Location Near Back Gate *Photos Are Of Similar Home MLS#6128514. Engel & Volkers Atlanta North Fulton.